Mineral water comes from unpolluted underground sources, and in contrast to tap water, it is untreated. 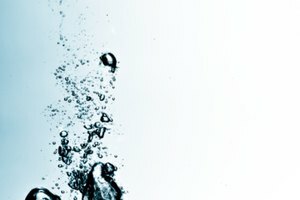 Tap water is reputed to have an abundance of chemical contaminants such as nitrates, lead, aluminum and pesticides. Mineral water contains natural minerals that enter the water as it flows through various layers of earth and rock to wells and springs. Its great advantage of holding these minerals is that it is bottled on the spot. Mineral water is among three forms of bottled water, the others being table water and spring water. The French National Academy of Medicine says that natural mineral water contains many therapeutic properties and healing benefits on rheumatism, acne, burns, eczema and scars among other ailments. The French are world leaders in drinking mineral water, with 1,200 sources of mineral water in that country. When you think of France, you think first of wine, cheese, fine cuisine and mineral water. It is only about three decades ago that bottled mineral water for drinking has become popular among other nations. France's Perrier is now exported to countries across the globe. 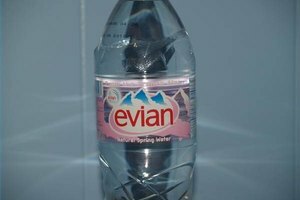 Other popular French brands are Evian, Vichy, Vittel and Volvic. Italy, another world leader as a producer and exporter of mineral water, has hundreds of brands. Italians as well as mineral water drinkers outside of Italy consume the popular San Pellegrino as their favorite brand. Other popular ones are Acqua Panna and San Benedetto. Germany boasts of brand names Gerolsteiner and Apollinaris. 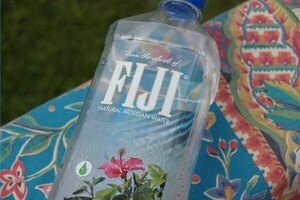 In the United States, mineral water is referred to as spring water. Mineral water is considered to be relatively healthier than tap water. Many people drink mineral water because they believe it is safer to drink, but they are not really aware of the health benefits. When you drink mineral water, many mineral deficiencies that would usually develop can be prevented. You can be assured of a healthy and safe pH balance of body fluids. This is because this form of water contains more hydrogen, and consequently is more acidic. Mineral water is really like a complement to traditional medicine. The minerals in the water are deposited in our bodies, resulting in therapeutic aspects, the major one being to promote an overall balance of the body. Although mineral water costs considerably more than tap water, the health benefits provided by mineral water are well worth the cost. According to French Dr. François Raoux, mineral water is rich in magnesium, which could help in relieving fatigue. The bicarbonate in mineral water can have an immediate effect on gastric problems, which are because of acidity in the body's digestive system. Mineral water is also rich in calcium, but unlike the bicarboante, the calcium does not have an immediate effect. You usually experience the benefits after some time. Osteoporosis is one of the ailments on which calcium in mineral water can have a preventive effect. What are the health benefits of drinking mineral water?